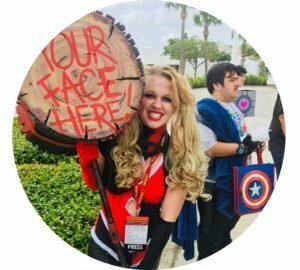 Cosplay Amino App With Cosplay Amino Fans! Captain Puerto Rico who runs the feature page @cosplayaminofans on Instagram filled me in on the app’s best features, talked to me about his CPR photography business, and told me how he got his page to over 35K followers! Oh hey, guys! My name is Tiffani and this is Cosplay and Coffee. Here and on my YouTube channel you’ll see cosplay tutorials, product reviews, interviews, and anything else I feel like writing about! Sign Up For My Next Coffee Date! Subscribe for cosplay tutorials, reviews, and product sales! Sign Up For Our Next Coffee Date! Follow tiffani on social media! Actions taken from clicking on links may yield commission for the site. All content and photos are copyright Cosplay and Coffee unless otherwise noted. Sponsored content is clearly disclosed within the post.